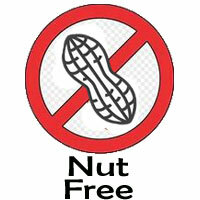 Our nut free Hazelnut, Natural Flavor Blend (Propylene Glycol Free) can be used in cakes, cookies, frosting and icings. This extract can be added directly to brewed coffee or sprayed on the beans prior to grinding. When applied to the whole beans, we recommend using it at a level of approximately 3.00% by weight. In brewed coffee, 1/2 teaspoon is more than enough to flavor 10 - 12 cups. Try adding 1 teaspoon of this extract to your favorite yellow cake mix. Blend the ingredients and bake per the cake's directions to make a delicious hazelnut cake. Hazelnut, Natural Flavor Blend (Propylene Glycol Free) contains ethyl alcohol, water, glycerin and natural flavor. Like most of our extracts and flavors, this flavoring is sugar and gluten-free and does not contain hazelnuts or other tree nuts.